Term 1, week 9. Enter below to win! 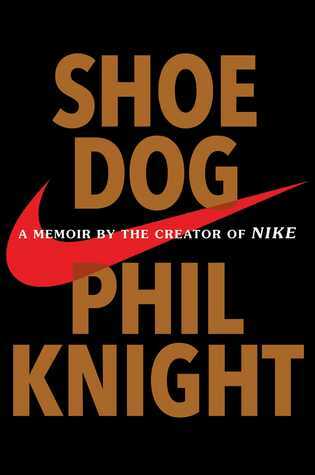 n this candid and riveting memoir, for the first time ever, Nike founder and CEO Phil Knight shares the inside story of the company’s early days as an intrepid start-up and its evolution into one of the world’s most iconic, game-changing, and profitable brands. In 1962, fresh out of business school, Phil Knight borrowed $50 from his father and created a company with a simple mission: import high-quality, low-cost athletic shoes from Japan. Selling the shoes from the trunk of his lime green Plymouth Valiant, Knight grossed $8,000 his first year. Today, Nike’s annual sales top $30 billion. In an age of startups, Nike is the one plus ultra of all startups, and the swoosh has become a revolutionary, globe-spanning icon, one of the most ubiquitous and recognizable symbols in the world today. Click here for Goodreads link. Congratulations to the winners of our 6-word-book-reviews! We hope you enjoyed your chocolate. Here are some of the finalists in the 6-WORD book reviews (or teasers) for a novel or book CHS students read.. Instructions unclear. Built a large desk. Dad dies. Mum marries Uncle. Whoops, left you on Mars. Mother returns, Apple feels whole. Questions.